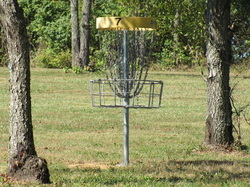 Located in the Anderson County Community Park, just off Highway US 127, north of Wal-Mart. 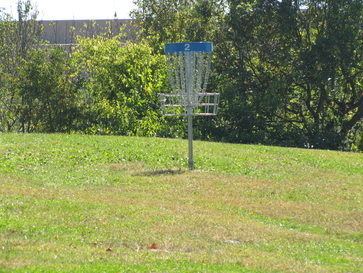 The course sits on both sides of the road leading in to the park. 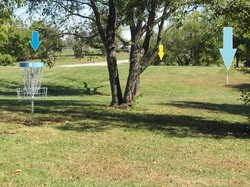 Turn left into the parking lot at the first stop sign. 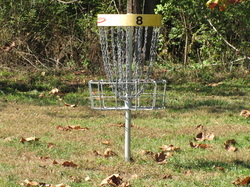 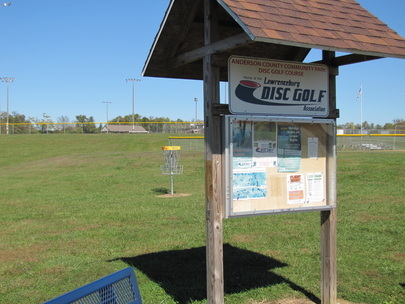 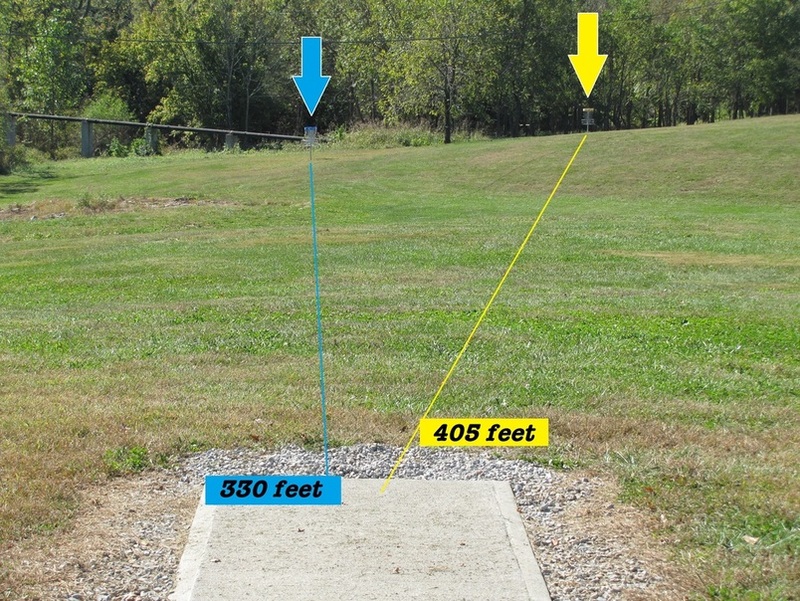 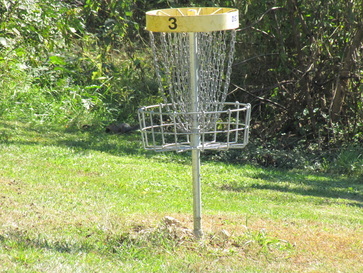 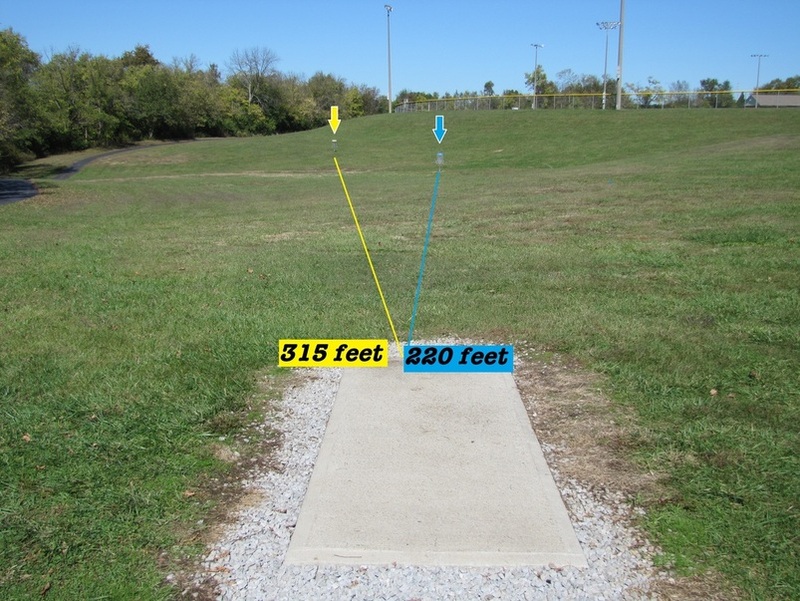 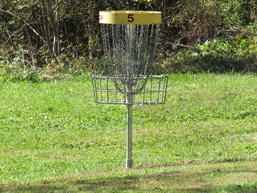 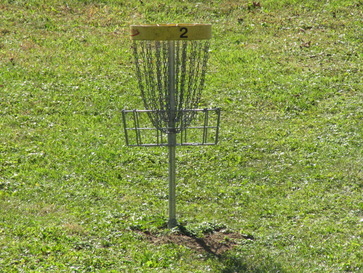 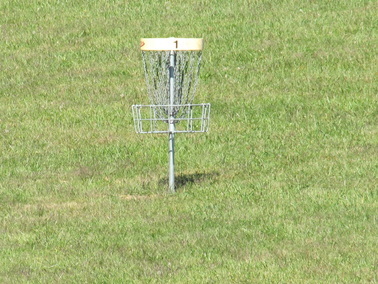 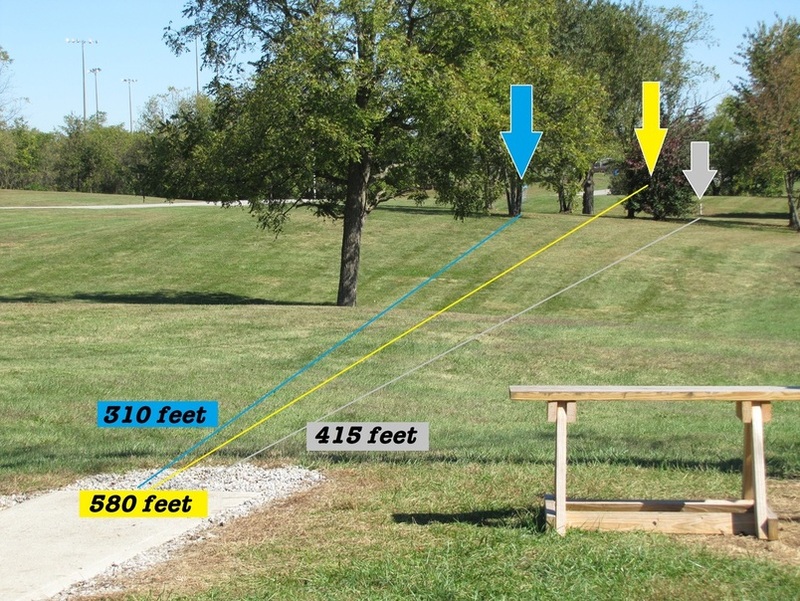 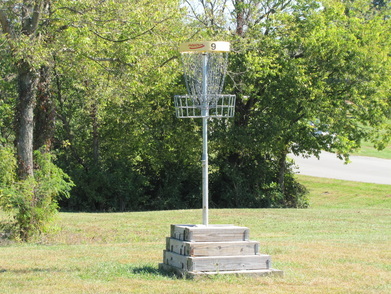 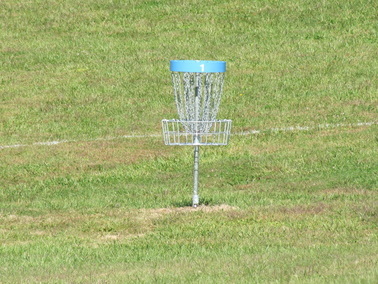 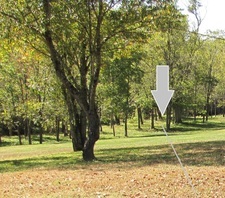 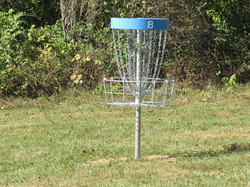 A practice basket (with putting distance markers) is located between the message board and the ball field. 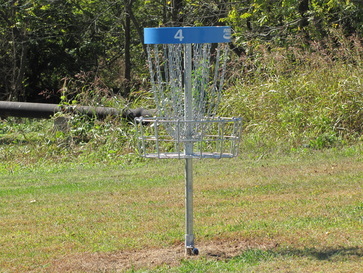 Hole #1 tee box is located between the message board and the walking track. 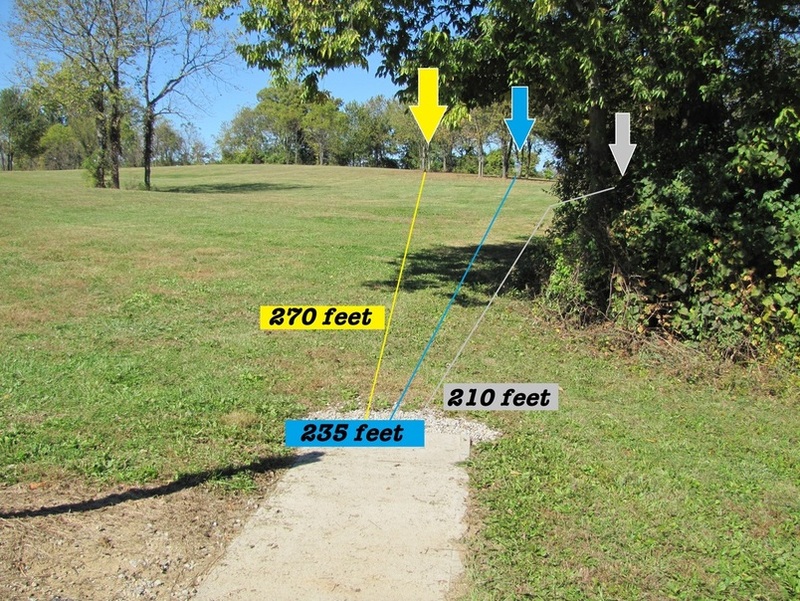 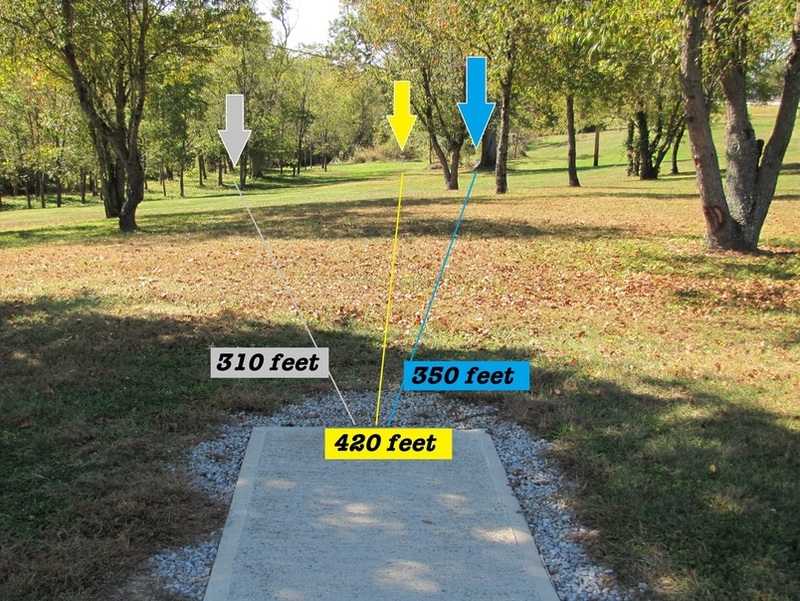 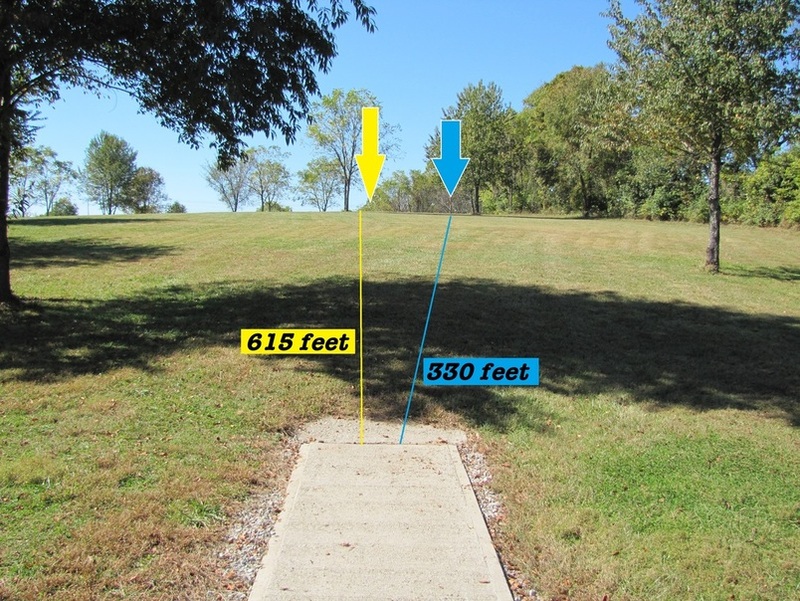 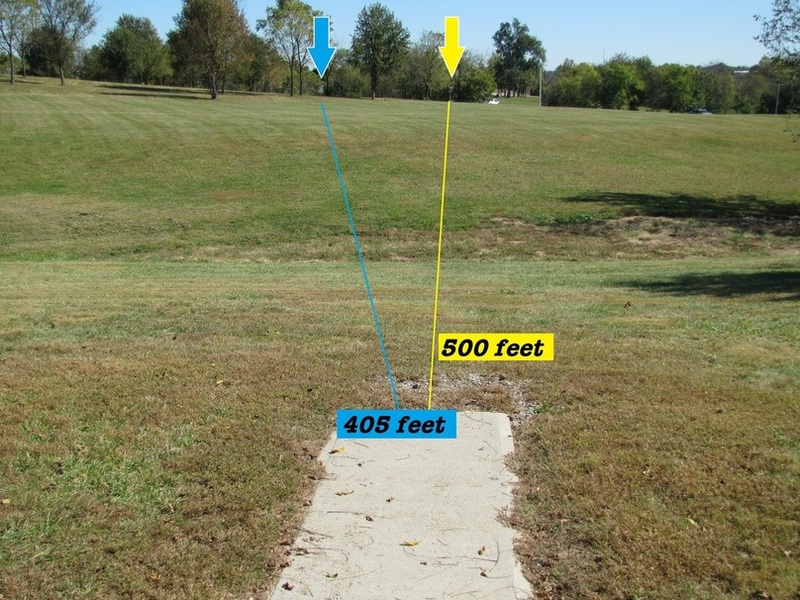 Each hole has a 4' x 10' concrete tee box. 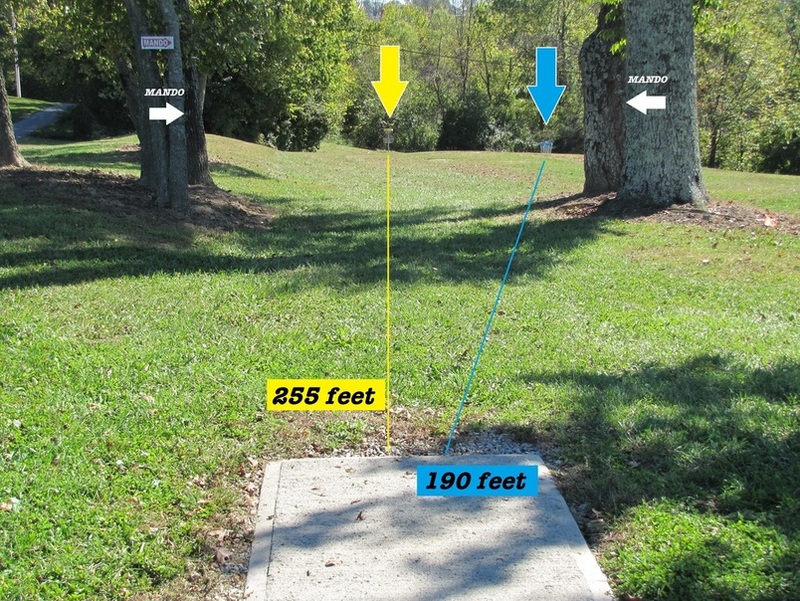 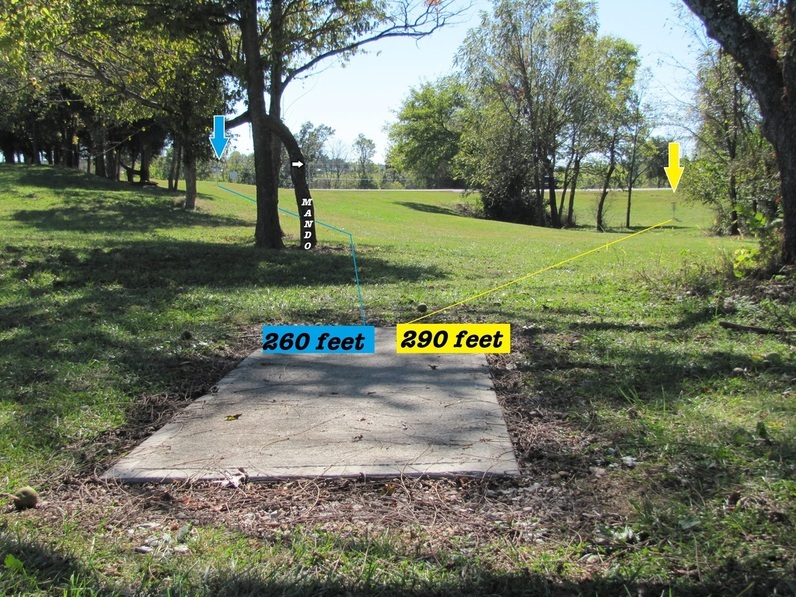 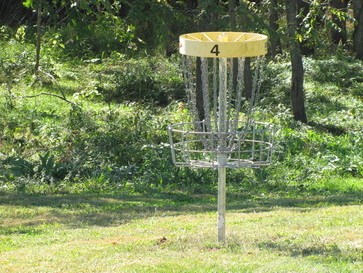 Ground markers near the baskets point to the next tee box. 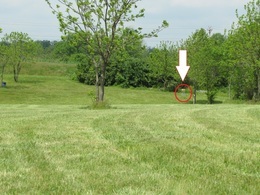 Until further notice, caution should be had walking the fairways on #4 and #6 due to very large groundhog holes. 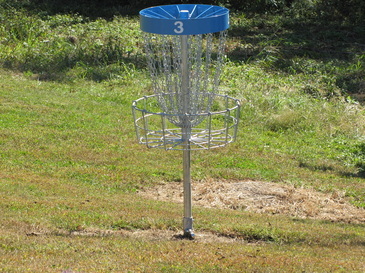 Each hole has 2 basket locations. 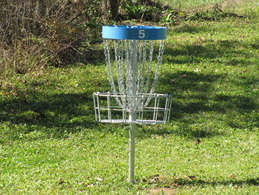 The 'blue' banded baskets are in the short position with the 'yellow' banded baskets in the long positions. 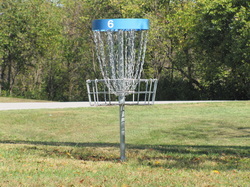 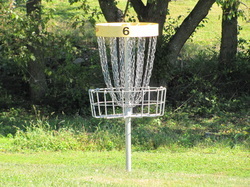 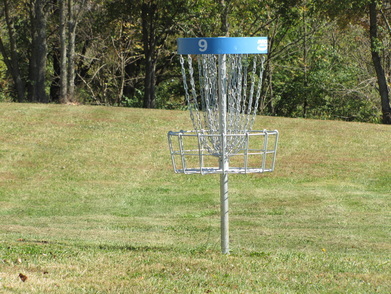 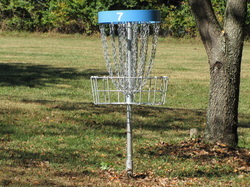 Holes 5, 6 and 7 have an extra alternate basket location.